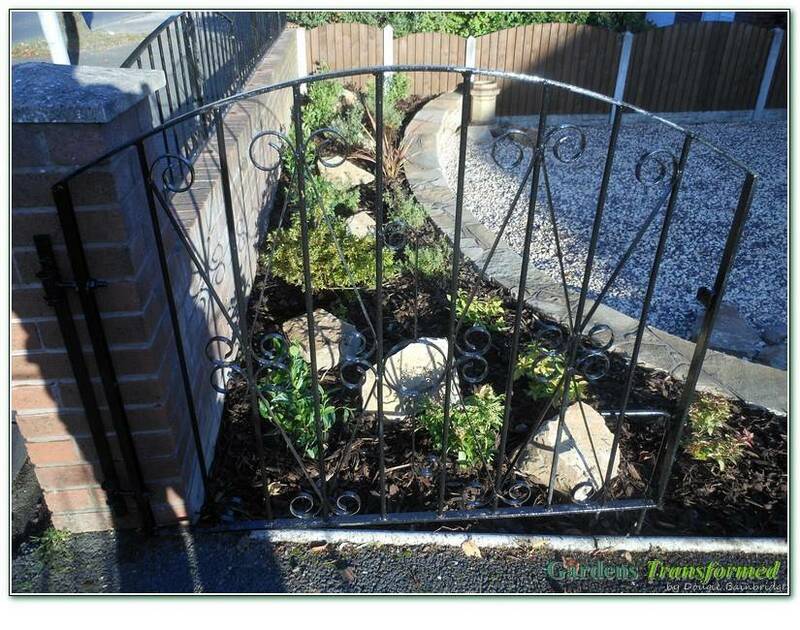 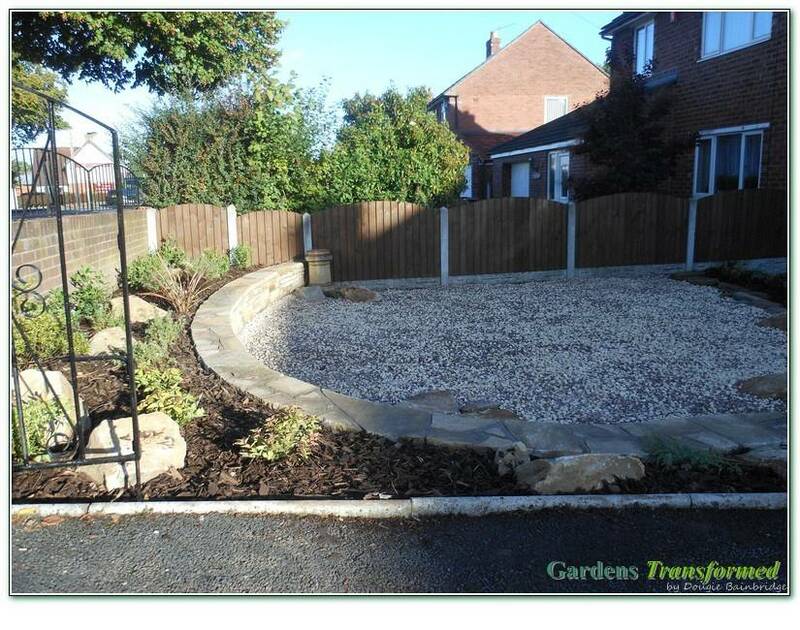 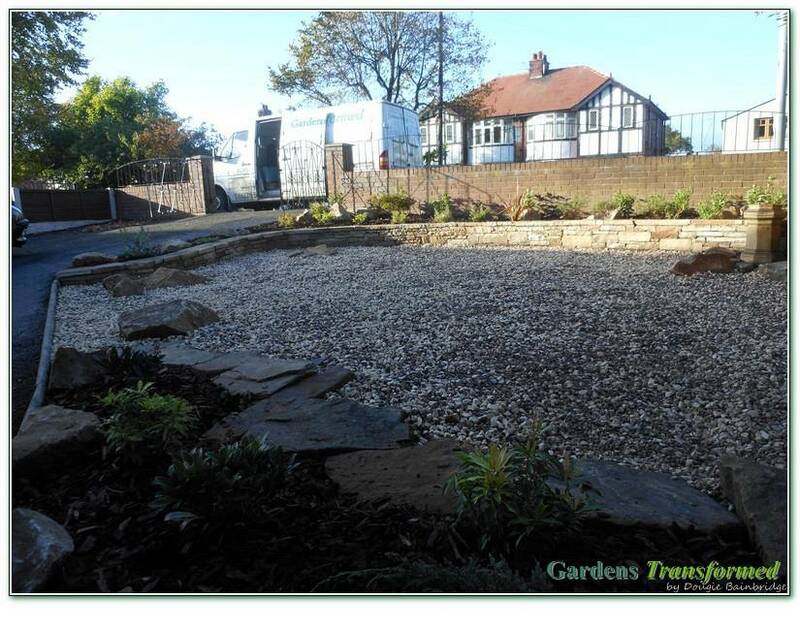 Clients had been offered a proposal by another contractor to refurbish the front garden with sleepers. 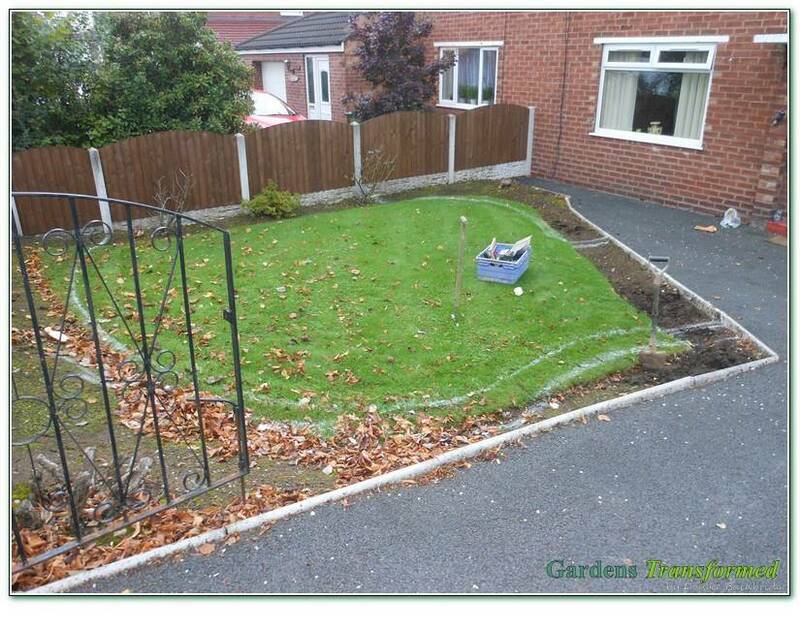 Unhappy with this, we were asked to make it a bit more interesting and pleasing to view, but low maintenance with no grass. 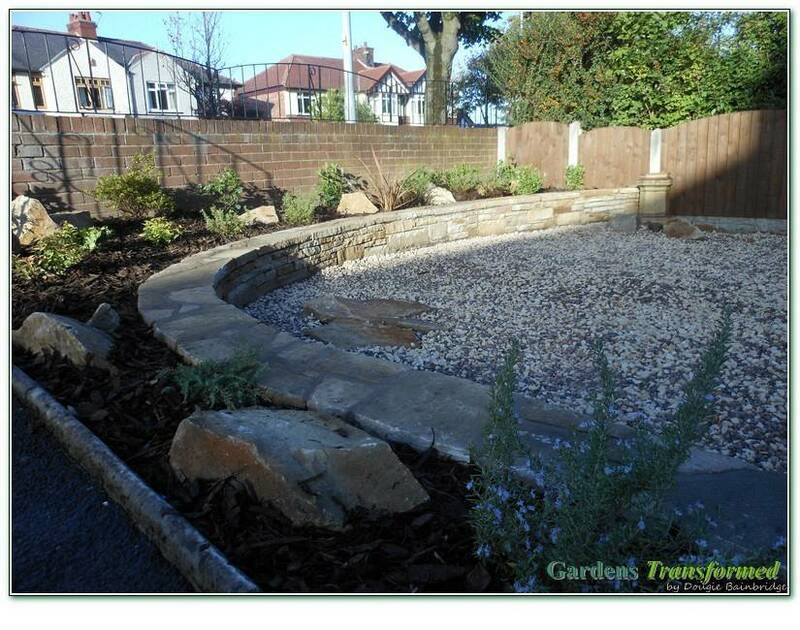 A clear budget and brief allowed us to create a natural curved retaining wall with raised planting through membrane and bark. 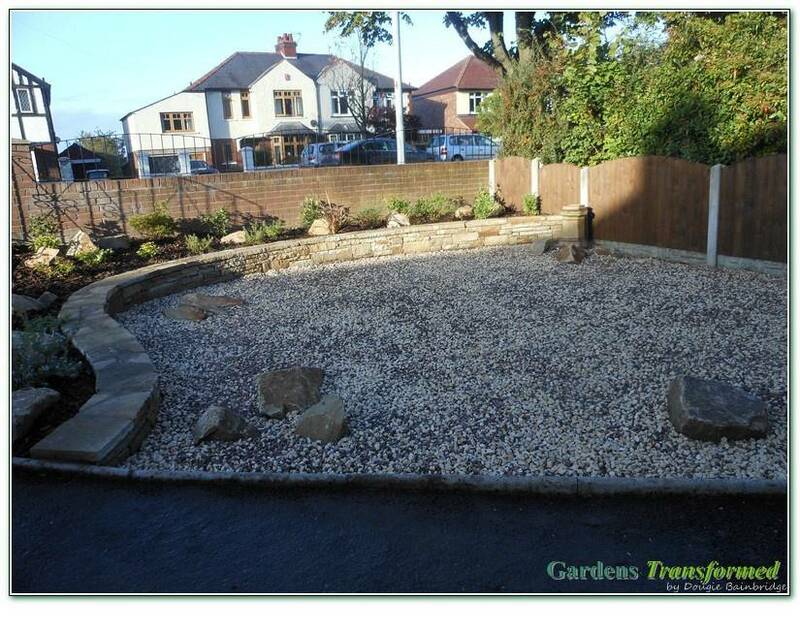 A lower area of "Dougie mix" gravel was softened with a smaller shrub bed and random rockery stones to create a stylish front garden exactly to brief.